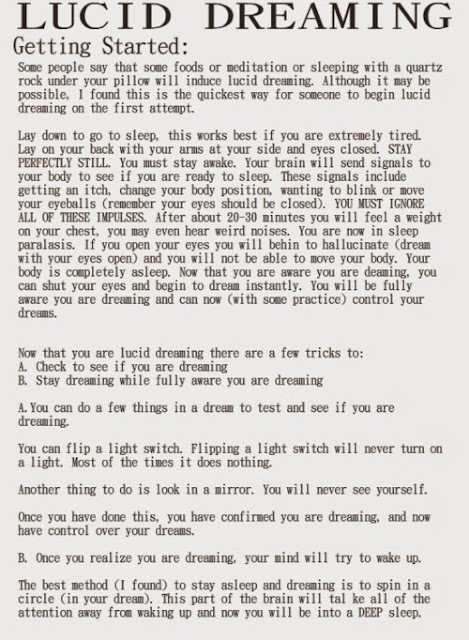 How To Lucid Dream ! Can You Really Control Your Dreams? Imagine going to sleep, and instead of having 'normal' dreams, you 'woke up' your mind within the dream, and were able to control it? 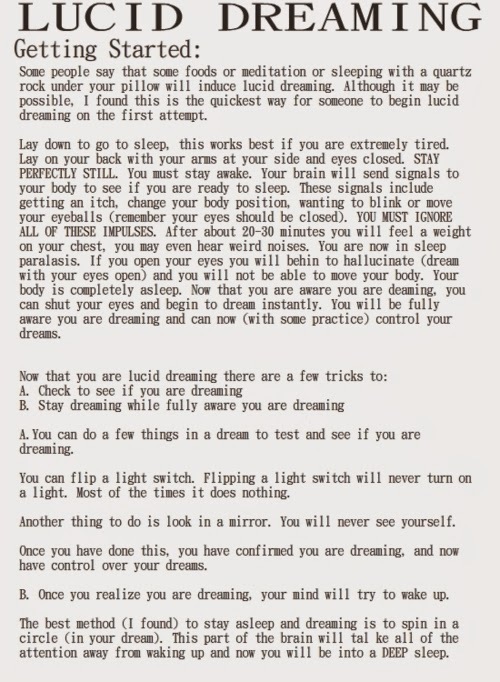 It's called 'Lucid Dreaming' and It's a very real and very interesting phenomenon. 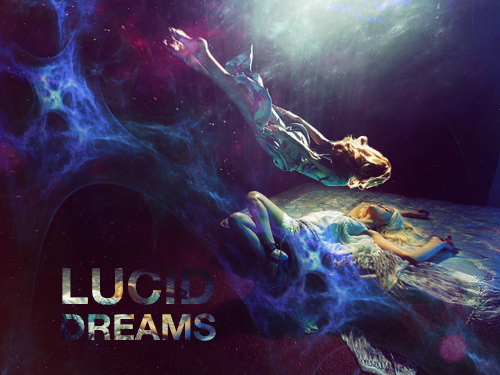 Lucid Dreaming is the ability to 'control your dreams' every night. It's achieved by activating or learning to activate a certain part of your brain while sleeping. The part of your brain you're learning to activate is the same part that's responsible for your self awareness in the waking life. It's how you 'know' you're awake or not. By learning a few techniques, you can unlock this part of your brain so that when you're dreaming, it 'wakes up' giving you full awareness of the fact you're dreaming. 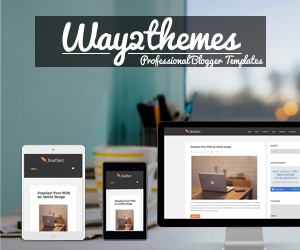 It's really easy to learn how to do this as well.. Read on! The word 'Lucid' simply means clear. It's a clarity of mind, and an awareness of self. Most people can learn how to control their dreams in just a few days/weeks, and it takes only a few minutes each day to cultivate the skill. It's all about building two habits. It's essential to actually remember your dreams in order to be able to control them and have beautiful 'Lucid memories'. Everyone dreams every night, but only a fraction of people actually remember, in detail, those dreams. The reason is simply that they don't practice remembering them. If you don't pay attention to things in your life, you'll tune them out. You need to get into the habit of writing down your dreams every morning in order to start naturally remembering the things you get up to in the dream world. A good way to start is to get a 'dream diary' which can just be a notebook. Keep it by your bed and every morning, write down your dreams in as much detail as you can manage. Even if you can't remember anything to start with, just write the date and then 'no dreams recalled'. It's all about training your mind to start remembering the dreams. You could try highlighting important events, people and places in the dream entries as well. This is the main thing to learn in order to start controlling dreams. A reality check is when you 'ask yourself' if you're dreaming or not. You combine this question with a physical action that has very specific results. What this means is you'll do something that has different results in the dream as it does in real life. An example is to try and breathe through your nose while pinching it closed. In real life of course, you won't be able to breathe, but in the dream when you do this, you'll be able to breath as normal. The idea is that by doing these 'reality checks' enough times during the day, they'll filter through into your dreams and when you do them in the dream, you'll instantly realize you're dreaming and your mind will spring into action, allowing you to be aware of the fact you're dreaming, and therefore to control it. So a great way to start controlling your dreams would be to do one or more of those reality checks about once an hour, every day. When you do them, ask yourself 'Am I dreaming?' and REALLY doubt your reality. Look around you as you do the reality check, and really question it. After a few days, you'll notice that you perform a reality check in your dream and you'll instantly wake up the part of your brain responsible for self awareness. You'll become 'Lucid'. It's very common to get so excited when you first achieve this that you wake yourself up. This is normal, and with practice you can learn to stay in this state for longer and longer periods of time. Learning to become aware of your dreams in this way allows you to have much more control over your nightmares. Often people are able to simply 'walk away' from their nightmares, simply be realizing that they're dreaming. A very common technique for Lucid Dreamers when experiencing a nightmare is to simply ask the scary element of the nightmare; 'What do you represent?' This question results in your unconscious mind basically talking to your conscious mind. So in a nightmare about being chased by a dog, you could turn around to the dog and ask it what it represents. The dog will stop chasing you and respond with an interesting bit of information about your psyche. It might say 'You never really got over your fear of dogs' or 'You're scared of getting hurt in relationships'. The answer can be profound, and it instantly removes the power from the 'scary' element of the dream and gives you the power. It's a very useful technique to use, specially if you experience regular nightmares. 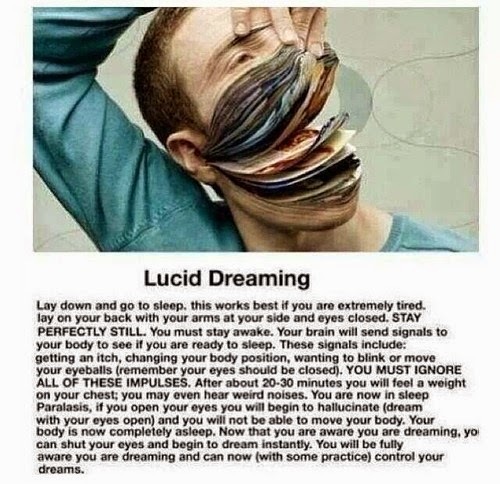 By learning how to Lucid Dream you'll be able to overcome these nightmares and even learn interesting things about your mind and the way you really think and feel.